BC Management Reports on Compensations for Business Continuity Professionals in Asia Pacific - BC Management, Inc.
BC Management's 2011 study highlights total compensations (base + bonus) for business continuity professionals based in Asia Pacific are almost evenly distributed between less than 50K SGD (27%), 51-100K SGD (23%) and 101 – 150K SGD (23%) while 5% of study respondents earn a total compensation of $300K+ SGD. The data did show that 75% of the data respondents indicating 50K SGD or less were based in India. All total compensations were noted in the respondents country in which they reside in and then converted to Singapore Dollars (SGD) for comparison purposes. For reference $1 USD equals 1.28749 SGD. 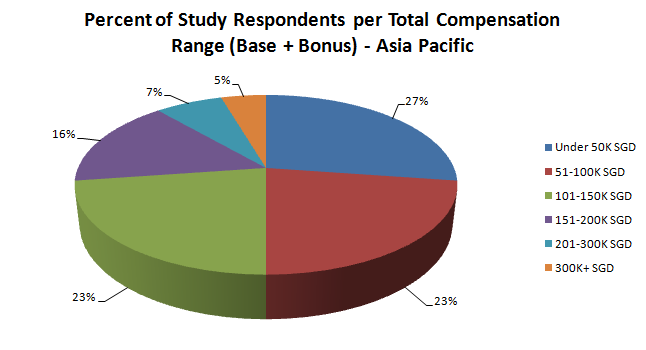 (Data reports on 2010 compensations for professionals based in Asia Pacific. Total compensation is base + bonus only.) View the pie chart for Asia Pacific and other regions below. Less than 2 weeks left to participate in BC Management's 10th Annual BCM Study to qualify to receive our complimentary BCM Compensation reports and Exclusive Board Report on BCM Trending (for program management section study respondents only). BCM Compensation final reports will be published for USA, Canada, Europe, Asia Pacific, Latin America, Middle East and Africa. View a brief summary of the USA BCM Compensation Report -Initial Findings - http://tinyurl.com/7wh4gt7. Participate in BC Management's 10th Annual BCM Study by December 15, 2011 to receive complimentary BCM research reports - http://www.bcmanagement.com/participate-in-study.html. 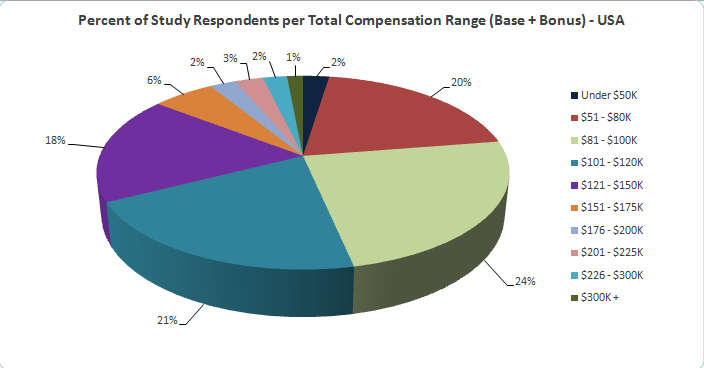 Those who choose not to participate in the study may purchase any of our world-renowned BCM Compensation Reports - http://www.bcmanagement.com/compensation-research-data.html. Members of ACP and NEDRIX and DRI International and BCI certified professionals qualify for 10% off all our reports!